If you know little or nothing about Ramana Maharshis life and teachings and want to know more, the interview with John David will be a useful introduction. Guru Vachaka Kovai is a collection of Ramana Maharshis teachings that was recorded in Tamil verse by Muruganar, one of his foremost disciples. This translation, by Sadhu Om and Michael James, has never been published. Sri Ramana Paravidyopanishad is a presentation of Ramana Maharshis teachings that was written in Sanskrit verse in the 1950s by Lakshman Sarma, a devotee who had the rare privilege of having private lessons from Bhagavan on the meaning of his teachings. The translation and commentary are by Lakshman Sarma himself. Ramana Puranam is a long Tamil poem that was jointly composed by Bhagavan and Muruganar. 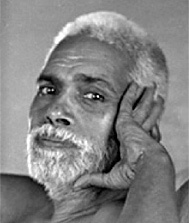 Arunachala Pancharatnam is a five-verse poem composed by Bhagavan. The item that appears here is a commentary on it by Sadhu Om. Who am I? 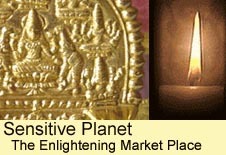 is a translation and commentary on Bhagavans famous essay. The remaining items are articles that I have written on various aspects of Ramana Maharshis teachings. Most of them have been published in The Mountain Path, the journal of Sri Ramanasramam.